Valentine’s Day, is fast approaching, it’s THIS Friday, that’s THREE days away folks. Personally, I’ve always thought of Valentine’s Day as a day to celebrate love in general, not just of the romantic variety. I’ve snail mailed Valentines to friends and family, and up until The Boy and I got together, one of my best friends and I used to celebrate every V-Day with dinner and a show. BUT every so often life gets in the way, and you lack the time to prep, and this, my geeklings, is when the age of electronics/social media can be a blessing. Below, please find your last minute Geeky Valentine’s Day Guide. 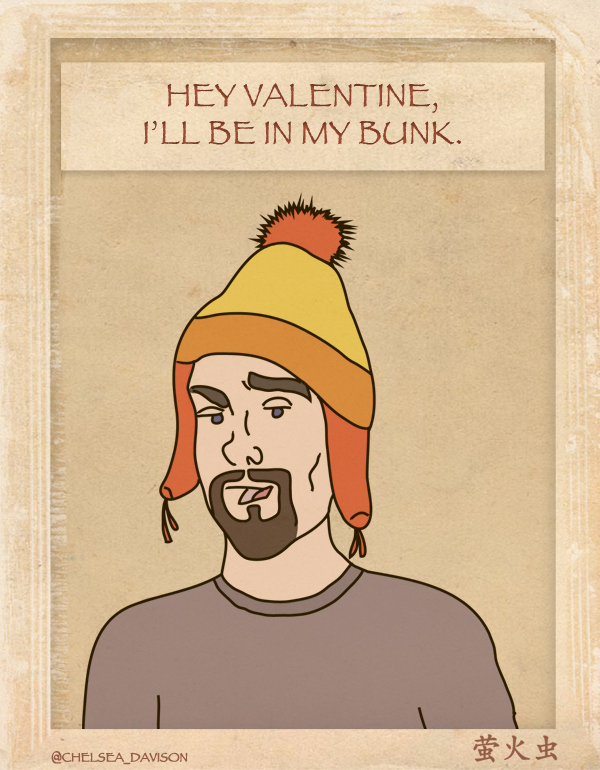 The Ish: You’ve Run Out Of Time To Order Those Really Cool Geeky V-Day Cards. The Fix: You can find just about anything on the Interweb, including AWESOME [Free] geeky Valentines to print out/post. DC Comics has some really cute ones. Sure they are a little corny, but come on, that Harley one is ADORABLE! And don’t forget to you can always search tumblr or pinterest for plenty of geekery, like these Firefly cards. Our Pinterest has plenty of awesome cards. The Ish: You’ve Run Out Of Time To Order/Find The Perfect Gift. The Fix: Look, I’m gonna be honest, The Boy and I don’t really do the gift thing. We started dating many moons ago, when we were both poor, and lets face it I still am, and so the whole BIG EXPENSIVE VALENTINE’S DAY GIFT THING is kinda lost on me. However, that’s not to say we don’t do anything. It’s often something little that we have seen that reminds us of the other, favorite snack food, tiny trinkets, it’s really more of an “I appreciate you” type thing. That being said, there are plenty of people who do the BIG gift thing and for those of you who waited a little too long to get you’re orders in, (without spending a ridic shipping charge) Preorders/Monthly deliveries are you friend. One of my new fav monthly services is Loot Crate, which was actually one of our featured “Geeky Gifts” during the holiday season. Loot Crate is a monthly service, which delivers a box filled with surprise geeky goodies to your door. It is the gift that keeps giving. Sign up for a one, three or six month subscription. Bonus, the packages are shipped on the 20th of the month, so there’s a legit reason you’re showing up empty handed on the big day. Bustedtees shirt of the month club for $50, each month the recipient will receive a code good for one free shirt of their choice. That’s right they can pick whatever shirt they want from the site and it is free! Even shipping is included. Really, though, The Big V-Day, shouldn’t involve stressing. Just make plans to do something you love, with people you care about, and eagerly await, February 15th…aka the day all the candy is 50% off. Got any fun Valentine’s Day plans/gifts/ideas? Hit up the comments and let us know what you’re up too. 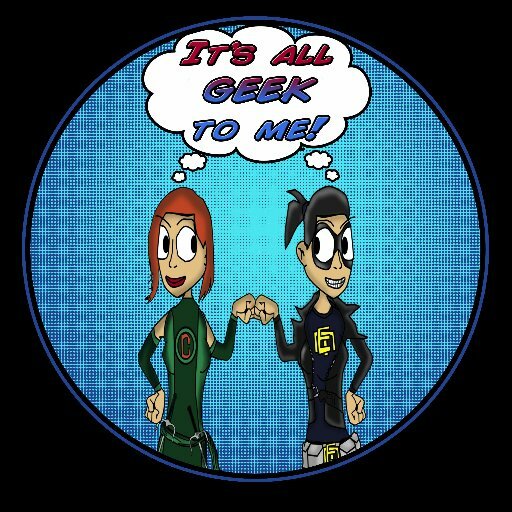 This entry was posted in Uncategorized and tagged Comic Books, DC, Firefly, Geeky Gifts, It's All Geek To Me, Valentine's Day. Bookmark the permalink.